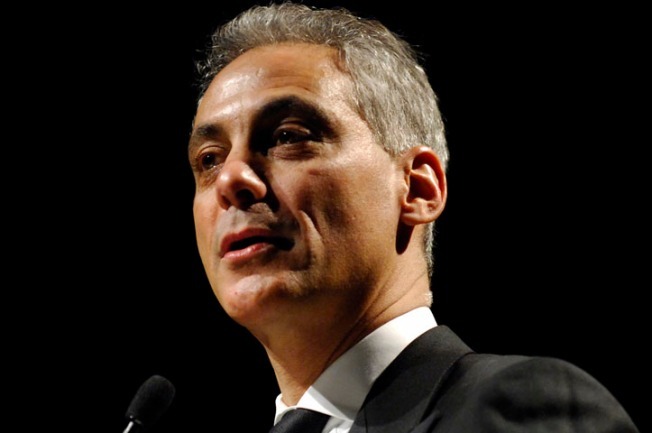 The Benefits of a Rahm Emanuel "Swear Jar"
When news emerged that Rahm Emanuel planned to charge some supporters up to $50,000 for VIP access to his inaugural, Ward Room tweeted the story. "Why tickets to Rahm Emanuel's inaugural party cost up to $50,000: http://bit.ly/gJxcrm#chicago"
Chicago Magazine's Director of Digital Strategy Scott Smith hit back: "Pre-payments to swear jar." Got us thinking: Emanuel should have a swear jar on his desk at city hall with all the proceeds going to the city’s parking meter fund. Based on how often Emanuel is said to let fly a curse word, this innovation could replenish the $1.1 billion fund by the end of the mayor-elect’s first term. Because of Emanuel’s extraordinarily large vocabulary, the swear jar will have a sliding scale, with prices printed on the side. The longer and more profane the obscenity, the more the mayor will have to contribute. Here’s the proposed list. The swear jar will be an effective method for funding the city because the more Emanuel learns about Chicago’s fiscal difficulties, the more agitated he’ll become. An hour-long session with a hapless finance director could pay for an entire summer recreation program at a West Side park. While Emanuel would be expected to contribute most of the fines to the swear jar, it will also apply to visitors. Emanuel has resisted any contact with Rod Blagojevich since the former governor was arrested for allegedly trying to sell Barack Obama’s Senate, if the two ever met in Emanuels office to discuss it the city's budget defecit could evaporate as quick as you could say (bleep).